Clairfort / News / Clairfort and Essers Attorneys-at-law merge. Clairfort expands on the fields of competition law, procurement law and regulatory. Clairfort and Essers attorneys-at-law will join forces. The merger between both firms will be effective as of 1 July 2018. The combination will operate from its current locations in Zeist and Amsterdam under the name Clairfort. As a result of the merger with Essers attorneys-at-law – a boutique firm with a strong focus in competition law, regulatory and procurement law – Clairfort expands its footprint. Essers, on the other hand, expands its practice groups with corporate law and M&A, Intellectual Property & IT, employment law, property & construction and administrative law. The firm will have 25 attorneys. 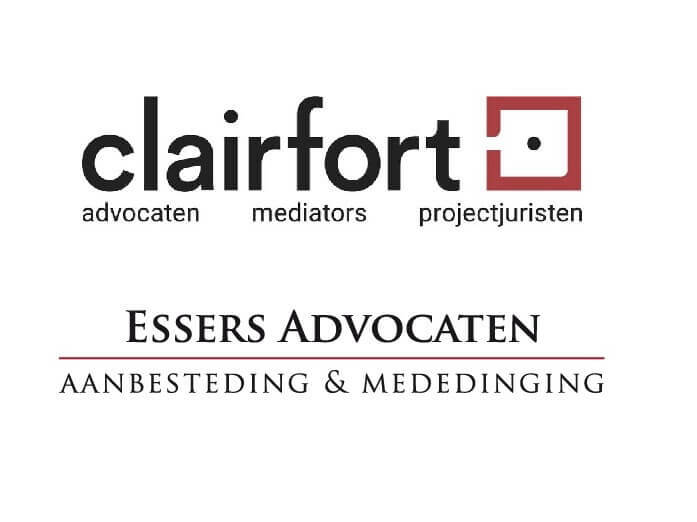 For more information about Clairfort and the merger with Essers Attorneys-at-law, please contact Maurice Essers (t. +3120-2258580), Philip Houtzager (t. +3130–3075465) or Mathijs van Logten (t. +3130–30754).